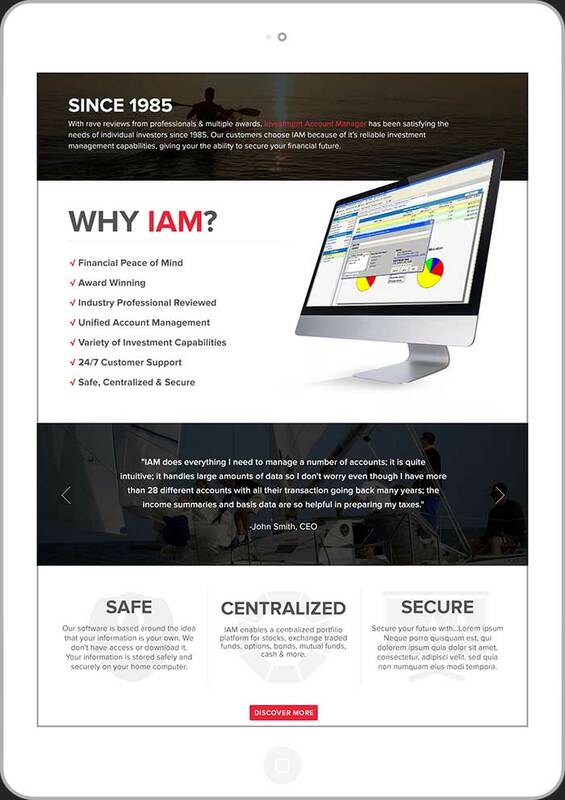 Investment Account Manager, reached out to us to merge both their IAM and IAM Professional websites into one. 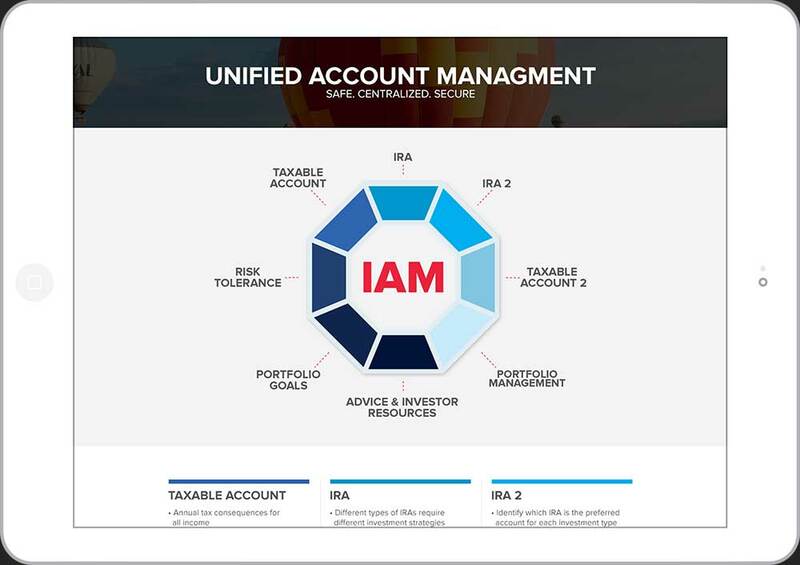 IAM is a software management tool for investors that provides centralized portfolio stock management, bonds, mutual funds, exchange traded funds, options, cash and more. 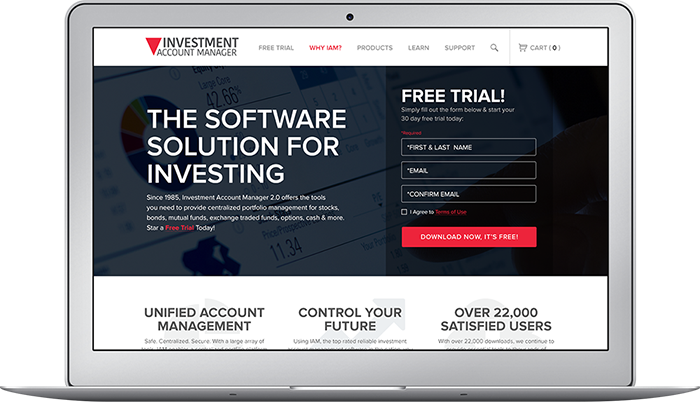 While, creating a new site we focused on one question, "Why Investment Account Manager?" So we used client testimonials, professional reviews, taglines, strategically placed cta's paired with strong imagery to lead potential users to download the free trial. We also kept pre-exsisitng users in mind, making it easier to navigate to the extensive support section on the site as well as renewing or updating product support. The new site features a responsive design and is accessible across all devices.